The ultimate in accuracy. 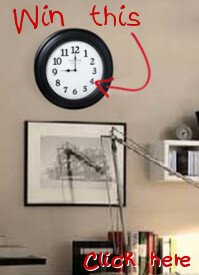 This Howard Miller Accuwave DS wall clock automatically sets itself and adjusts for Daylight Savings Time. This clock receives a radio signal from the cesium atomic clock, the most accurate clock in the world.